LG is back with a new entry in its G-series. 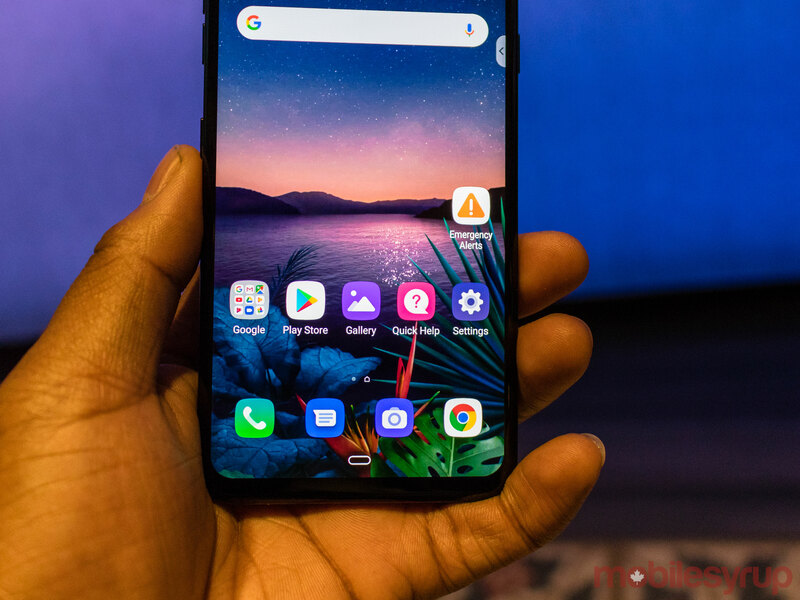 The company announced the G8 ThinQ in Barcelona, Spain at its Mobile World Congress keynote. 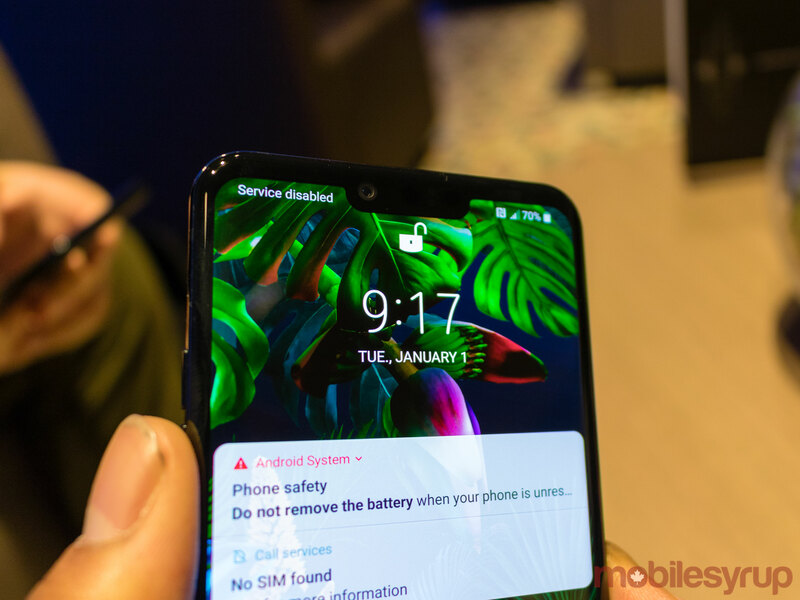 The G8’s marquee feature is a new time-of-flight sensor that enables a variety of nifty features — though we’ll have to see if consumers express interest in them. MobileSyrup staff writer Dean Daley explores them in greater detail in his hands-on with the handset. With the sensor, LG is offering a new feature called Air Motion. In short, these are gestures which users can execute without physically touching the device. One gesture, for instance, allows users to quickly switch between two apps by either swiping to the left or right. Yet another one allows G8 owners to answer their phone, while automatically switching to speaker phone. Additionally, the time-of-flight sensor, in combination with an infrared sensor, allows future G8 owners to use their palm as a way to confirm their identity using vein authentication. LG claims plam authentication is more secure than using a fingerprint scanner. The G8 is also the first G-series smartphone to feature one of the company’s POLED displays. Previously, G-series smartphones continued to feature IPS LCD displays even as LG moved its V-series to OLED tech. In any case, it’s a 6.1-inch display with 18:9 aspect ratio and 3120 x 1440 pixel resolution. However, while still HDR10 capable, with a maximum brightness of 600 nits, the G8 screen’s can’t get as bright as the G7’s 1,000 nits display. It should, however, be more power efficient, which is a good thing since the G8 features a modest 3,500mAh battery. Getting back to the display, there’s also a sound component to it. The G8 is the first LG smartphone to feature the company’s Crystal Sound OLED Display (CSO) technology. Essentially, sound resonates through the display to help create stereo separation, even though the G8 doesn’t feature stereo speakers. In combination with the G8’s Boombox speaker, which LG first introduced with the G7, the G8 can get louder than most other smartphones. 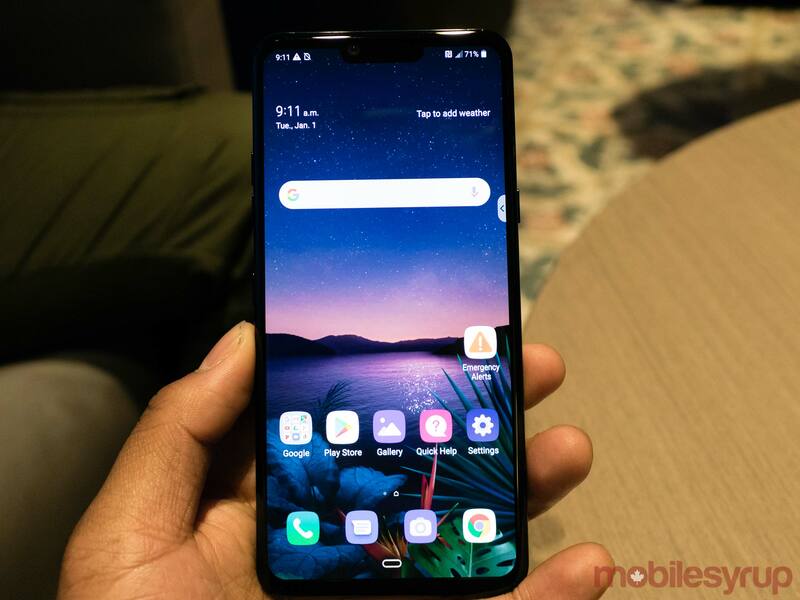 Internally, the phone features Qualcomm’s new top-of-the-line Snapdragon 855 chipset supported by 6GB of RAM and 128GB of internal storage. Storage is expandable by up to 2TB thanks to a built-in microSD slot. For photos and videos, the G8 features a dual camera array with a main 12-megapixel sensor behind a fast f/1.5 aperture lens. Moreover, the main camera includes optical image stabilization (OIS), as well as both laser and phase detection autofocus. The combination of the two different systems should make the G8 fast to lock focus. Thanks to the 855, the G8 can also apply depth-of-field effects to video, in addition to still images. There’s also a 16-megapixel camera with an f/1.9 aperture lens that features a wide-angle field of view, making it, like past LG smartphones, great at capturing big vistas. On the front of the device is an 8-megapixel selfie camera with f/1.7 aperture and normal field of view. The time-of-flight sensor I mentioned earlier also helps with depth-of-field photography. The sensor is capable to calculate depth faster than a traditional depth-of-field sensor. As a bonus, it should also work just as well in low-light as in bright light. As with past LG flagships, the G8 includes a Hi-Fi quad DAC. There’s also support for DTS:X 3D surround sound. On the connectivity front, there’s support for Bluetooth 5.0, Qualcomm’s AptX HD Bluetooth audio codec, USB-C and Wi-Fi 802.11ac. I should also note the G8 is an LTE-only phone, compared to the V50, which is 5G-capable but won’t be making its way to Canada. Other notable features include IP68 water and dust resistance as well as inductive charging — though no word yet if LG plans to make the latter exclusive to G8 models sold in select markets like the U.S. as it has with past G-series smartphones. We’ll have more on the G8 in the coming days and weeks when it arrives in Canada this spring.